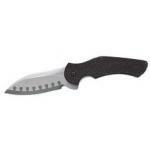 Celebrities, chefs, and nationally-known knife designers all contributed to the large selection of folding and fixed blade knives manufactured by Kershaw Knives. Since 1974 Kershaw has sought the best designers and the best ideas of those who use knives professionally, creating sophisticated knives with ingenious patented mechanisms and high quality steel blades. You’ll also find occasional limited edition artistic pieces in the Kershaw line-up. Once a salesman for Gerber Legendary Blades, Pete Kershaw had his own ideas about what makes the best knife and set out to build a company based on his own designs in 1974. Most of the early design work took place in Portland, Oregon, but Pete Kershaw contracted the manufacturing with Kai Cutlery in Japan. Kai Cutlery recognized the company’s potential and purchased the business in 1978, placing Pete Kershaw in charge of the North American operations. 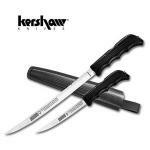 Under Kershaw’s leadership the company partnered with leading knifemakers like Ken Onion, martial artists like Steven Seagal, and even “National Geographic” magazine in order to come up with new concepts and better knife technology. 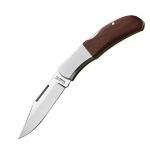 Kershaw specializes in folding knives, with many based on older slip-joint models and familiar styles like the frontier favorite, the Barlow knife. What most people will remember as a Kershaw knife is the more modern design, light in weight with composite grips and easy one-handed opening. The Kershaw line-up includes unusual knives like the patented “National Geographic” Carabiner Tool, a knife blade which folds into a carabiner clip; and the Alaskan Blade Trader, a field dressing kit with three interchangeable blades and a hunting knife design. Designer Ken Onion created one of Kershaw’s most famous knife features, as well as many of the company’s most popular designs. The Ken Onion Speed-Safe allows fast one-handed opening with spring-assisted action in a style legal for most civilians to carry. 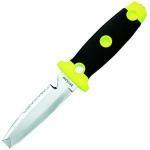 Kershaw also manufactures knives for divers and a selection of filet knives for successful fishermen. The tactical version of the well known Blur by Ken Kershaw, this black anodized and non reflective combo edged tanto is also one of the most efficient alternatives to an automatic police knife. 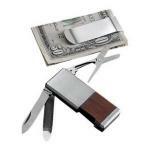 The Scallion, a modern design created by Ken Onion and now produced and marketed by Kershaw, is a gentleman's pocket knife built to modern standards. That approach provides several advantages over the classic gentleman's knife, which evolved to be too small to be generally useful. Ken Onion's very refined yet totally modern design results in an admirably functional pocket knife built for the modern gentlemen, not the modern gentleman's grandfather. 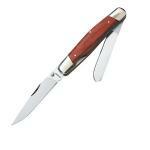 Put together a knife from the finest materials, using the finest design, and you have to have something good. 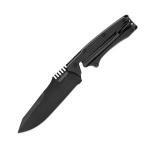 Kershaw's Avalanche, a design by knife maker Ken Onion, is today's technology simplified to the point of good sense. Kershaw's plain-edge Outcast is a decent choice for an outdoor knife. It's reasonably strong, fairly priced, and has the reputation of Kershaw behind its craftsmanship... three very good reasons to keep this one in mind. There are quite a few versions of the Kershaw Cyclone flitting about on the market, including a plain edge, tanto blade and a mini-blade. The version with a ComboEdge, pictured at right, is just one example. We'll link to all the variations below. If you prefer a polished look to your knives, this Vapor II model by Kershaw is definitely one to keep in mind. It won't break the bank, and it's from Kershaw, so you won't have to wonder if it's a quality blade or not. At first glance, this one looks pretty straightforward. It measures a hair under five inches when closed, features a 3.625 inch stainless steel blade, and carries the Kershaw name we've come to admire. Ken Onion has created some great knives for Kershaw. Witness the Kershaw Leek, the Blur and the Shun Ken Onion Chef's Knife. Quick, which vegetable is bigger, the chive or the leek? It's the leek, of course, and this knife is true to its name. 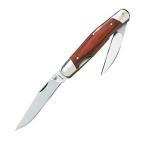 It's similar to the Ken Onion Chive Knife we reviewed recently, but with a longer blade. Ken Onion is probably the best known American knife designer. With the release of his Ken Onion Chef's Knife, he's practically a household name. Okay, that might be overstepping just a bit. But he's now made several successful models for Kershaw, this Chive being a great example. 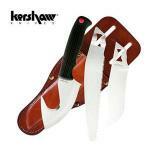 This folding knife by Kershaw is a versatile knife designed by the renowned Ken Onion. 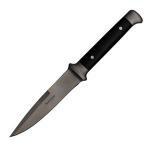 Foremost is the 3 3/8" 440a stainless steel Tungsten blade, with the Speed Safe assisted opening design for comfort and safety. Ken Onion invented this type of opening mechanism. Tired of buying a new knife every couple of years? 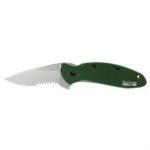 Try this sturdy Wasabi Deba Knife manufactured by Kershaw. 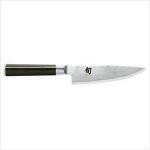 This 8-1/4 inch knife is very handy for chopping vegetables, slicing up poultry, or even boning fish.